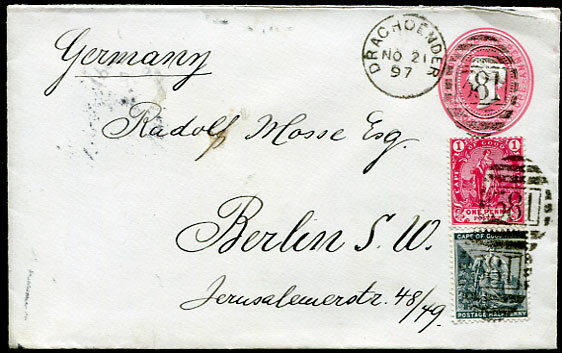 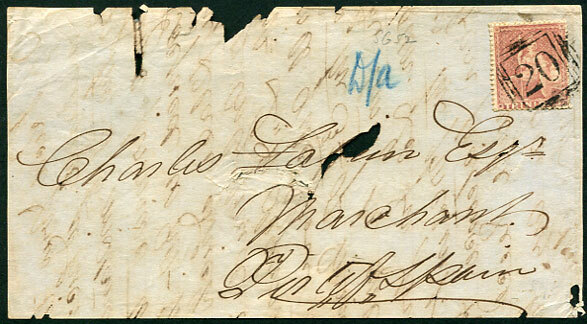 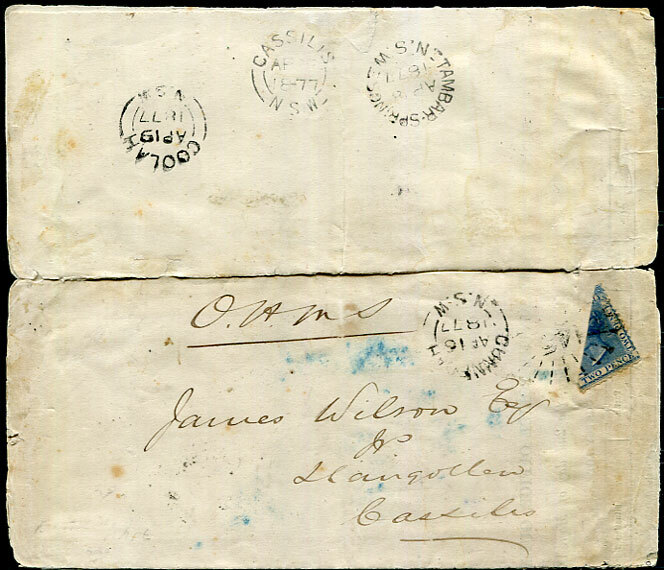 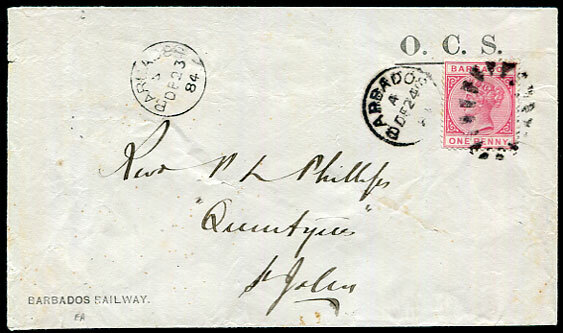 1884 use of QV ½d Post Card pmk'd open bootheel duplex A/AP 24 84 to W.A. 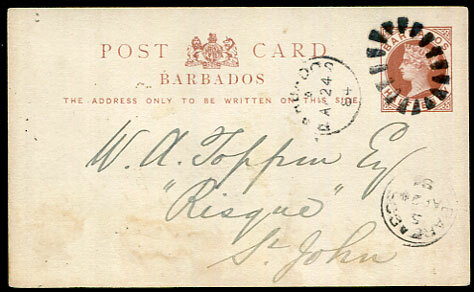 Toppin, "Risqué", St. John re meeting of the Horticultural Society with BARBADOS 5/AP 24 84 (M2-R) arrival, some soiling. 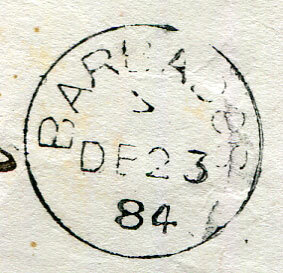 (Ex O.B. 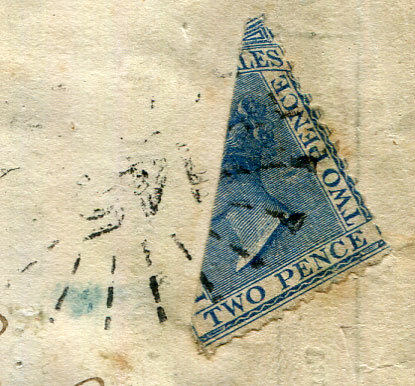 Davis). 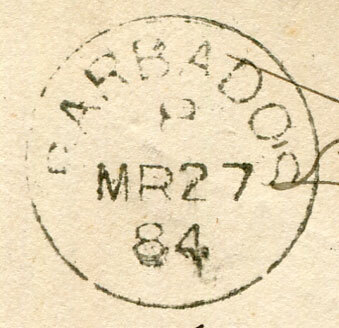 This series of Parish marks (M2-O, original set close to outer rim, and M2-R, replacement set further away from rim) are rarely found on entire. 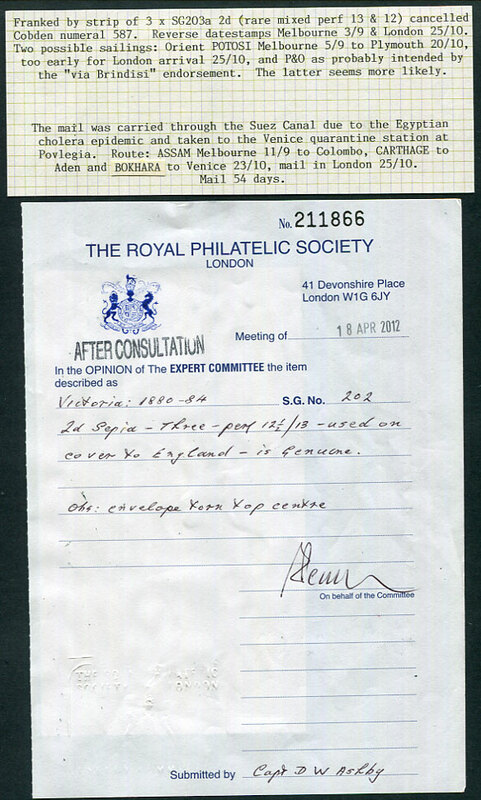 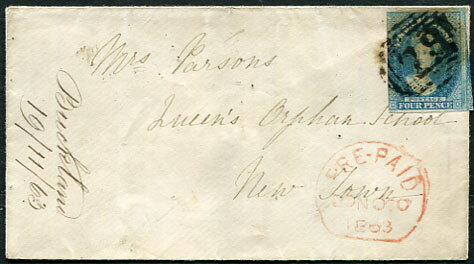 Struck on "loose" Britannia issues they are mostly extremely rare except for "2" code (Christchurch) but even this not recorded tying stamp on cover. 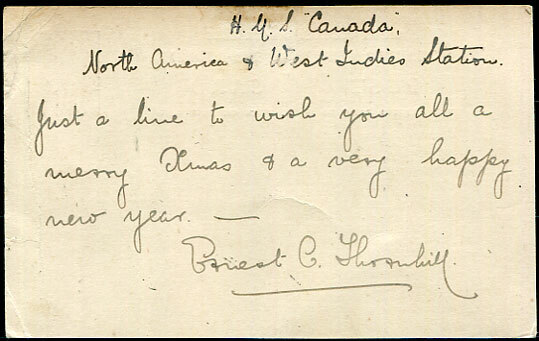 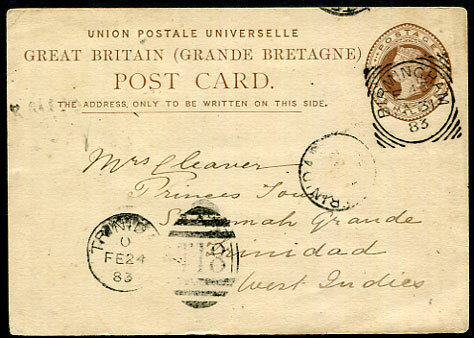 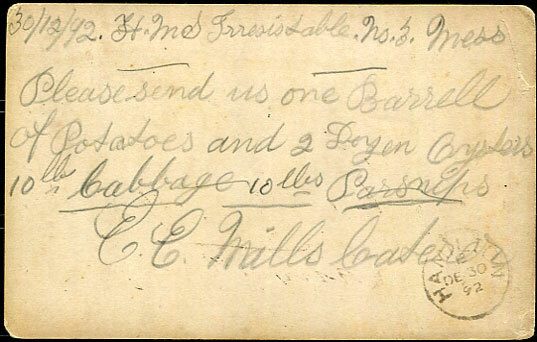 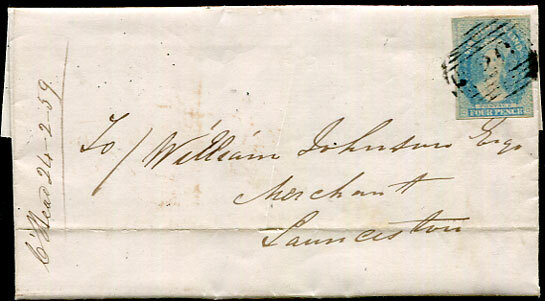 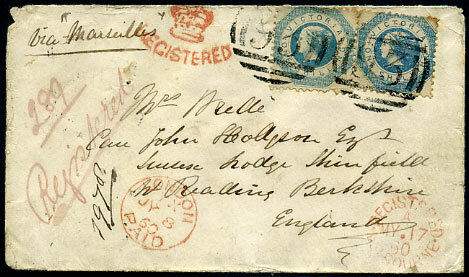 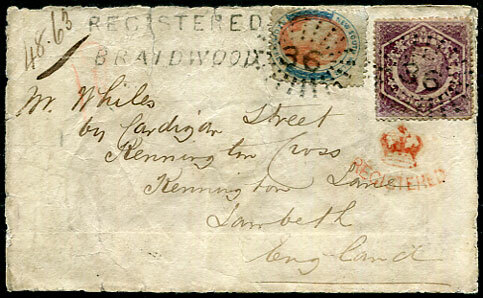 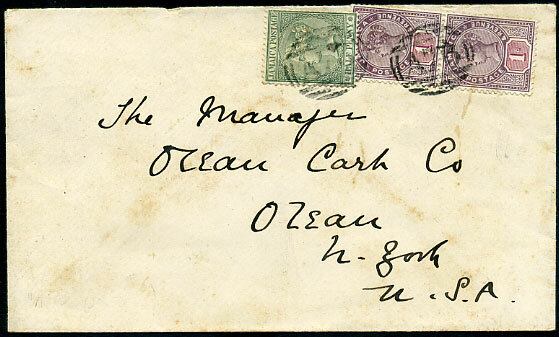 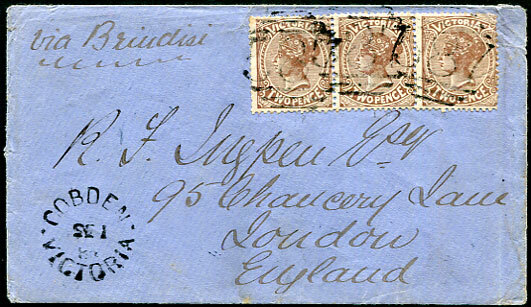 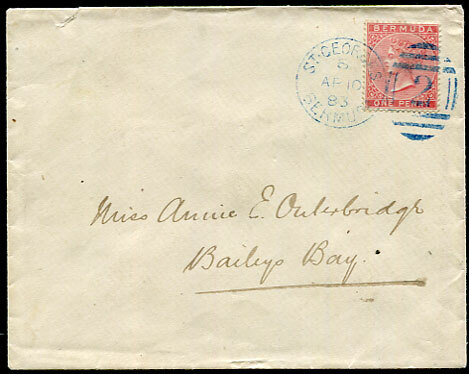 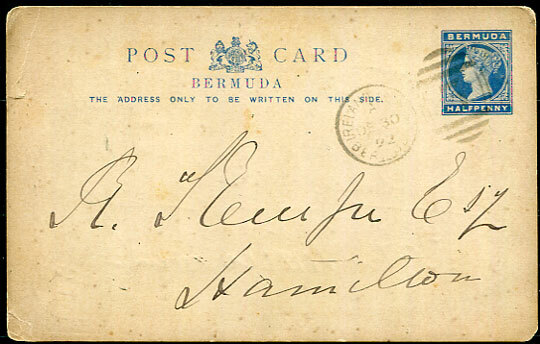 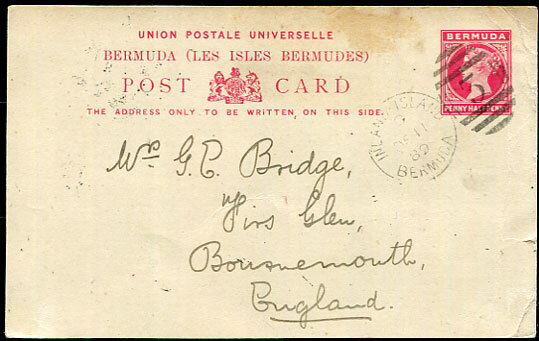 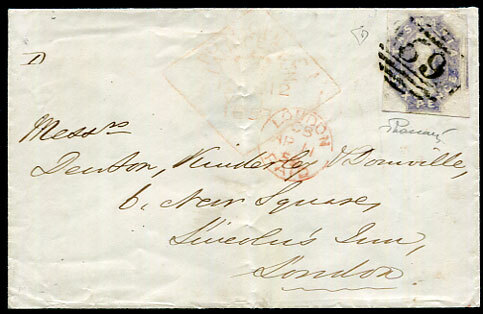 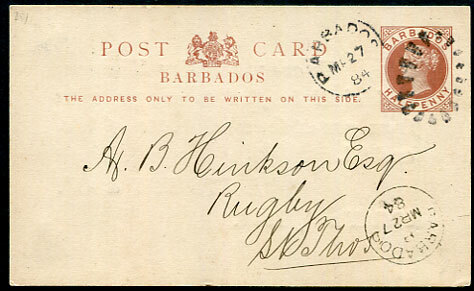 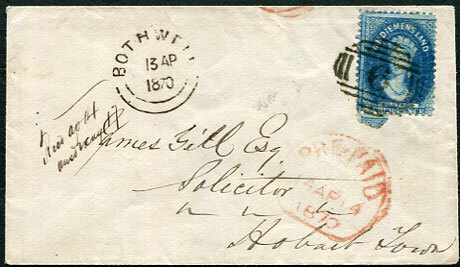 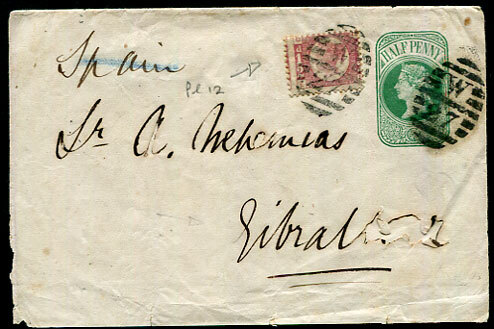 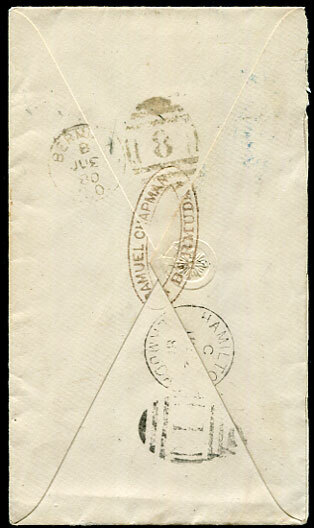 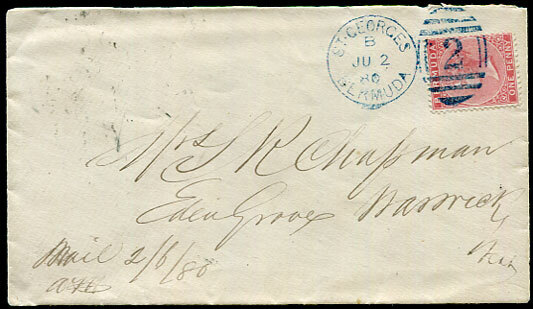 1884 use of QV ½d Post Card from Bridgetown to Augustus Briggs Hinkson, Rugby, St. Thomas with clear 8/MR 27 84 (M2-R) arrival, by far the scarcest of the M2 Parish grouping.